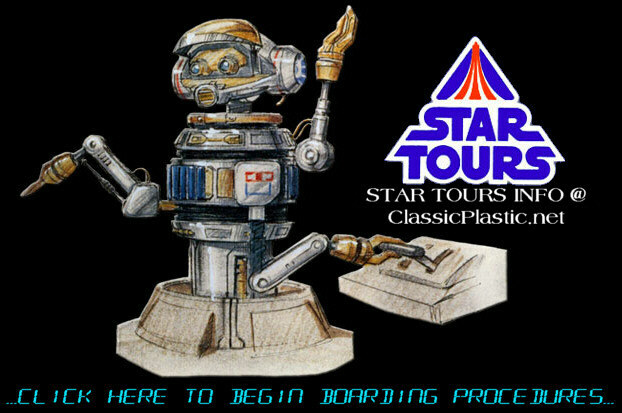 Star Tours is a trademark of Disney / Lucasfilm Ltd.
STARTOURSINFO @ ClassicPlastic.net is NOT endorsed by Disney or Lucasfilm in any way. and Disney information found in publicly accessible research archives and websites. This site and the information here covers the classic Star Tours attraction at Disneyland.